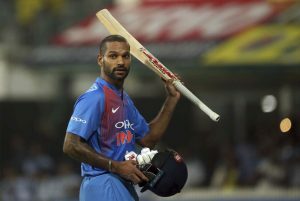 CHENNAI – In a match that will be difficult to explain for analysts, Shikhar Dhawan and Rishabh Pant seemed to be cruising through what looked like a difficult chase on a pitch with plenty for spinners. Yet, from seven required off 11, India needed a misfield off the last ball of the match to stumble over the line. With the ball turning so much that India’s spinners bowled nine wides – eight because of excessive turn – the spinners on both sides barring Yuzvendra Chahal underwhelmed. Particularly disappointing and inexplicable were West Indies, who had 181 on the board but bowled only fiver overs of spin, that too unimpressive even though they went for only 36 runs. The last of those was an afterhtough: the last over, with five runs required. The batting was of high order. Darren Bravo and Dhawan played the more traditional hits; Nicholas Pooran and Pant dazzled with switch-hits against spin and reverse-ramps and reverse-laps against pace. Bravo and Pooran 87 off 43 balls from 94 for 3, but Dhawan and Pant went one step ahead with what eventually turned out to be a 130-run match-winning partnership, at 10 runs an over. Missing regular T20 openers, West Indies had two different combinations in the first two matches. 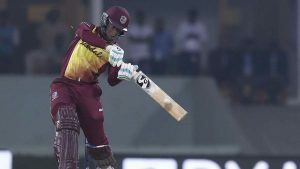 In the third match, Shai Hope and Shimron Hetmyer showed they had learnt from watching Rohit Sharma in the last game. They played out the first two overs for just six runs, but once they got used to the pace of the pitch they set off using the Powerplay overs. There was also realisation they wanted to use the new ball before it started gripping. Two boundaries each were hit in overs three to six, taking West Indies to 51 in the Powerplay. Spin strikes but does it do enough? Already three overs of spin had gone for 32 in the Powerplay, but when Hope went to attack Yuzvendra Chahal first ball, he top-edged a slog-sweep. Chahl bowled cleverly to Hetmyer, who has a distinct preference for the leg side. Chahal kept bowling wide outside off and slow, not minding the odd wide, until Hetmeyer eventually gave extra cover a catch. At the other end, though, Sundar and Pandya bowled to restrict, not slowing down the pace and letting the ball turn. The seven overs after the Powerplay brought just 44 runs but India would have probably wanted more than three wickets. That quick start, though, meant Darren Bravo could have taken his time through those middle overs. Bhuvneshwar Kumar came back with three overs to bowl out of the last seven. He bowled a spate of offcutters, fetching more turn that the fingerspinners, but the first ball he bowled at regulation pace, Pooran launched him over cow corner. Now Pooran was off. Bravo had already punished Pandya in the previous over. When Chahal came back, Pooran played a switch-pull first ball, putting to shame some right-hand batsmen. To but Bhuvneshwar off his yorker, he played the reverse-ramp over point. Khaleel bowled an excellent 18th over with three yorkers and no boundary, but his last went for 23. The first ball, an attempted yorker, became a full toss. When he got the yorker right, Pooran pulled out the reverse-ramp again. This was the first time in T20 internationals that India went wicketless in the last seven overs. From the way India went after everything in the Powerplay, you could tell they were wary of the surface. They wanted to cause some damage before the ball got old and began to grip. Rohit Sharma got out trying to do that in the second over, and KL Rahul in the sixth. However, they did seem to have given India some momentum. India were 50 for 2 at the end of the Powerplay, by which time Khary Pierre had bowled two overs for 13 runs. They had six overs of spin in their bag, but they opted for offcutters from quick bowlers. Kieron Pollard and Keemo Paul bowled the next two overs without a boundary, but Carlos Brathwaite went to the well once too often. In the ninth over, he conceded two boundaries, in the 10th Pollard went for one, and when Oshant Thomas was brought back for the 11th, all hell was to break loose. India still needed 106 off the last 10 overs. West Indies still had a potential six overs of spin in hand. This is what they had opted to bat for. Yet they went to their fastest bowler. Pant and Dhawan took a liking to the pace, each of them hitting a six. The pressure had been transferred. Fabien Allen began with a boundary-less over, but Pant destroyed Pollard at the other end. The pressure taken off, he went after Allen in his next. The trajectory kept getting flatter, runs kept coming easily, and Brathwaite refused to go back to spin. It became an exhibition of sorts: Pant would pull out a crazy T20 shot, Dhawan would match it with an equally impressive hit down the ground. A twist came when Pant tried one reverse hit too many, leaving his middle stump exposed to a Paul yorker in the 19th over. Manish Pandey came out to face accurate yorkers from Paul. At seven required from seven, Pandey drilled one back to Paul, who tried to field it to deny the batsmen a single, but all he managed was to take the pace off the ball, which gave the batsmen time to take two by the time the ball would go to long-off and come back. The match almost done, Brathwaite went to Allen. With four runs off the first three balls, the job was all but done. Dhawan then became casual, playing a dot and then finding out the only man outside the circle, Pollard at long-on. Allen bowled a pretty good last ball, cramping Pandey, who hit it to the bowler’s right with no real force behind it. Not only could Allen not field it cleanly, he deflected it wide enough of the man running in from straight short midwicket. Two fumbles, one run, match over. 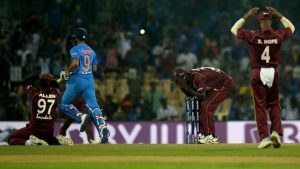 India 3, west Indies 0.